"Fins to the left, fins to the right and you're the only bait in town"
WE HAVE BEEN GEARING UP DIVERS FOR OVER 40 YEARS. LET US HELP YOU! We’re here to answer all your questions and give you a personal introduction to exciting new gear designed to help you make the most out of every dive. 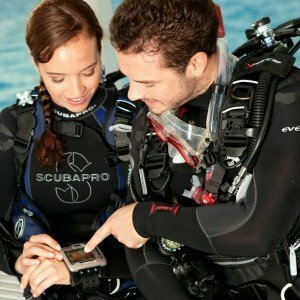 With all of its new features the GALILEO 2 (G2) is poised to become the favorite computer for divers of all skill levels, from beginner to tech diver. A true breakthrough in dive comfort and convenience. 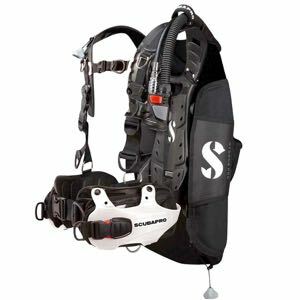 If you love the idea of easily packing all your dive gear in a carry-on bag, then this is the BCD for you. Ever dream of swimming with dolphins, exploring century-old shipwrecks, or floating among colorful, tropical fish? 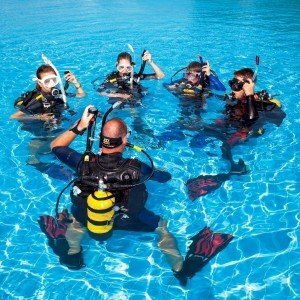 We teach scuba diving to people of all ages who want to be comfortable and confident with the gear and skills required to enjoy the fascinating underwater world. We are an experienced, energetic group of instructors and dive leaders who love the underwater world as much as we love introducing it to you. As one of the largest independent dive equipment specialists in the industry, we stay up to date on the gear that’s going to enhance your diving experience. We know the best places to dive because we dive them ourselves. In many cases, our underwater experiences are life-changing. We love to share what we know. I have shopped and traveled with Rec Diving for almost 40 years….I have watched them deal with the whole range of divers from novice to professionals and they have always gone out of their way to provide the equipment and service that is appropriate for each individual. It’s a great store!! 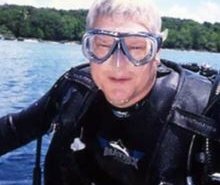 I have been a certified diver for 36 years . All my training was through Rec Diving. By far the best dive shop I have been to. Their love of diving shows. All 3 of my kids were trained by Rec Diving. They treat their clients like family. They have planned many dive trips for my family and all have been great. I’m a big fan of Rec Diving. I stopped in the store to check out prescription goggles and Diane was the most helpful person ever. She took her time with me to get the correct lens strength and made sure I knew everything about my purchase. Would HIGHLY recommend this store for all your water needs. It’s hard to find a good dive shop. Most are little hole-in-the-wall locations who never have anything in stock. This is not that kind of place. It speaks volumes that Fire Departments and the Army Corps of Engineers come here for maintenance on firefighting SCBA equipment. I love Rec Diving. 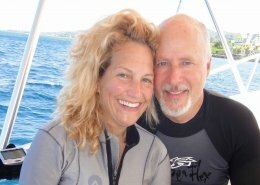 My friend and I both did our Beginner Scuba classes and our Open Water certification through Rec Diving. Our experience as students was fantastic; the knowledge level of the store staff and our instructor was very high. I love Rec diving because everyone is so nice, you always feel safe and looked out for, and it’s super fun. Genuinely the best dive shop in southeastern Michigan. I have been around the dive shop block a time or two and it is extremely rare to find a shop that balances excellent technical knowledge, a fun and relaxed atmosphere, safety, environmental stewardship and only the best equipment (good prices, too). That means this shop is perfect for every level of diver. Great dive shop with 37 years of experience, a knowledgeable staff and the best service manager in the business. 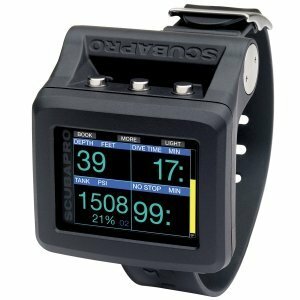 I’ve been diving for 21 years and this has always been my home shop for dive gear and travel. You can’t do better. Greatest dive shop in the world! Staff is incredible. Great dive shop. Great staff. Just went on the Whale Shark Expedition in Isla Mujeres with Diane & Jim. It was an amazing adventure. Thanks so much for helping me check this off my bucket list. Diane was great with our travel arrangements. We added on the Mayan ruins. A fabulous trip. These people are very nice. I took a private snorkel lesson and my instructor was very patient with me and really helped me gain confidence with the equipment. Thanks to this team and my excellent teacher Randy, I’m on my quest to fulfill my dream of becoming a mermaid!!!! I feel extremely confident and am ready to dive in Cancun next month!! Thanks so much!! Highly recommend! Excellent customer service and very informative! They are willing to spend time answering all your questions so you can make the best choice for diving gear to meet your needs! Will definitely be back and would recommend them to my friends. 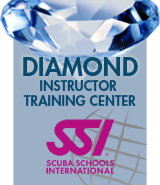 Great dive shop and travel program. Shopped there and traveled with them for years. Even working with them 6 years after moving to Arizona. I had a great time diving in the Bahamas! Hanging with the group was outstanding! I can’t wait to go on another dive trip with Rec Diving! Own Rec Diving. The Ultimate Dive Adventure. https://www.recdiving.com/wp-content/uploads/2017/10/DSC05113.jpg 1626 2735 Diane Richards https://www.recdiving.com/wp-content/uploads/2017/09/RecDiving_logo.jpg Diane Richards2019-02-28 07:50:002019-04-19 20:48:27Own Rec Diving. The Ultimate Dive Adventure.